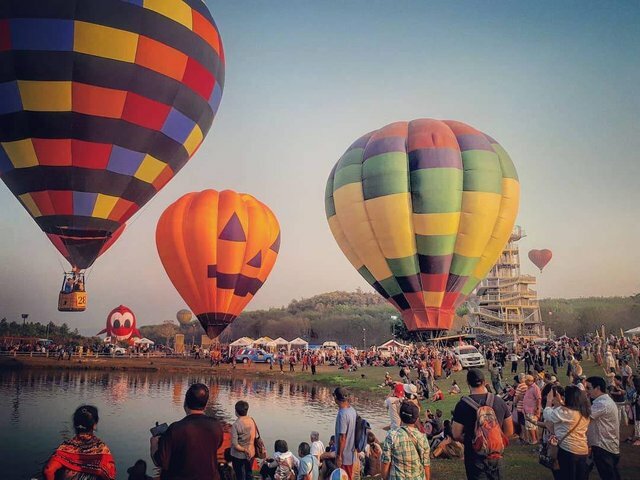 Singha Park International Balloon Festival 2019. Chiang Rai, Thailand. 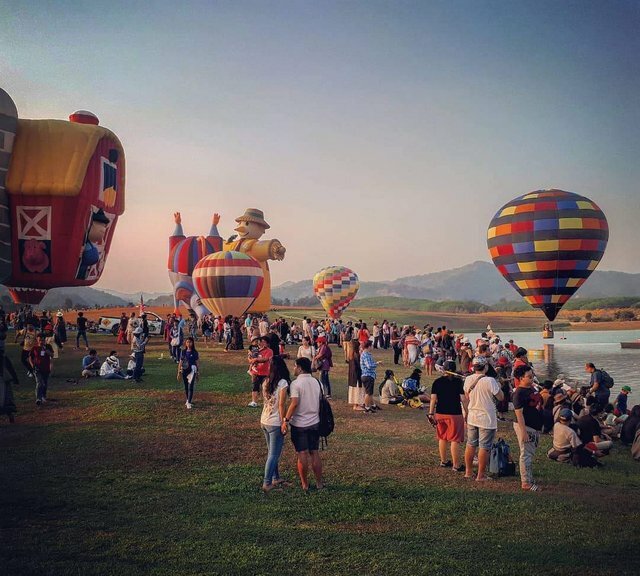 Amazing annual balloon festival in Chiang Rai, Thailand. Entry is 100 baht. In the daytime you can go for a ride in the balloons across the small lake area in the park. In the evening you are treated to an amazing light and music show. The festival sees participants from 14 countries, including United Kingdom, United States, Switzerland, Brazil, Philipines, South Korea, Taiwan, Austria, Latvia, Germany, Italy and Japan taking part. Its a great place for all ages and a wonderful community spirit. 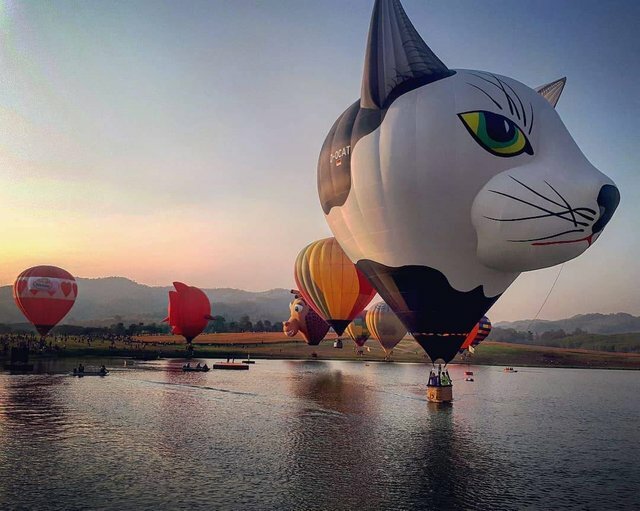 People of all walks of life, all brought together in awe of these fabulous ENORMOUS balloons! "Proper" seating is often taken fast, but there are hay bails and lots of people just sitting around on the ground (pristine grass). There are children's play areas too.